The Cyber-shot HX300 is a camera designed with one purpose in mind - to provide an extraordinarily long zoom range. To look at it another, more cynical way, it's Sony's competition for the Canon SX50 HS. There's no denying that having a hugely powerful zoom at your fingertips provides the opportunity to get the kind of close-in, tightly framed shots that owners of more more moderate super-zooms can only dream of. For that, with its massive range, bright maximum aperture and excellent stabilisation, the HX300 is the ideal tool, but do closely compare the feature-set with Canon's SX50 HS to see which best suits your needs. The Sony Cyber-shot HX300 is Sony’s flagship super-zoom. Styled like a DSLR, it sits above the HX200 which remains in the line up, sharing many of the same features, but extending the zoom to an impressive 50x with a 35mm equivalent range of 24-1200mm. To match the increased zoom range, Sony has improved the Optical SteadyShot stabilisation which is claimed to be twice as effective as before. The sensor is also updated, with an increased resolution of 20.4 Megapixels. The new sensor also supports an increased sensitivity range up to 12800 ISO. For movie recording there’s the same 1080p50/60 best quality AVCHD and MP4 movie modes as before. The HX300 retains the 3 inch tilting LCD screen and 201k dot electronic viewfinder of its predecessor. But where the earlier HX200 was also offered with a V suffix denoting GPS capability, that isn’t available this time around. Nor does the HX200 have built-in Wifi, something Sony strangely seems to think is only worthwhile on its smaller compacts and higher end NEX mirrorless models. With its powerful zoom and high resolution sensor the HX300 will doubtless, like its predecessor, prove to be a popular model. Though there’s plenty of competition in the super-zoom market from Canon, Fujifilm, Olympus and Panasonic, only the Canon SX50 HS and Fujifilm FinePix SL1000 can match the 50x zoom range of the HX300. I’ve tested and compared the HX300 alongside Canon’s SX50 HS, the World’s first camera with a 50x optical zoom. The SX50 HS has been around for a little while now, but it’s one of the most popular super-zooms around and will be the one to beat for the HX300. The Cyber-shot HX300 shares the same DSLR-like body styling as its predecessor, but is bigger, bulkier and altogether more muscular. At 130 x 93 x 103mm and weighing 650g with the battery and a card fitted it’s nearly a centimetre wider, 7mm taller and a centimetre thicker than the HX200V. The Canon PowerShot SX50 HS measures 123 x 87 x 105 and weighs 595g so is about ten percent lighter and significantly smaller all round. To compare the dimensions you might think the SX50 HS was 2mm thicker than the HX300, but Sony measures differently from Canon – from the edge of the screen, not including the eyecup. If you measure the depth of the HX300 at the widest point including the eyecup, as Canon does, it comes out at 114mm – nearly a centimetre thicker than the SX50 HS. You’re not going to fit either of these cameras into your pocket, though, so they’ll be around your neck on a strap or in a camera bag. Just to put the size and weight into some sort of context, Canon’s EOS SL1 / 100D DSLR measures 117 x 91 x 144mm and weighs 612g with the kit lens. Of course the Canon kit lens is a 3x zoom, not a 50x, but with plenty of mirrorless models and even a DSLR that’s smaller and lighter than the HX300, the compact size of a so-called ‘bridge’ camera is no longer the big advantage it once was. I actually found the HX300’s dimensions to be a very comfortable fit. I don’t have particularly big hands and I found the HX300’s grip to be both secure and comfortable. It’s deep enough to provide plenty of room for your fingers – on the smaller grip of the SX50 HS there isn’t sufficient depth, so with the tips of your fingers butting against the front panel you have to leave a gap between the palm of your hand and the side of the camera body. The control layout isn’t hugely different to the HX200V. Behind the shutter release with its compact-style zoom collar are two buttons, one for changing the focus mode and a programmable custom button, both now round rather than lozenge-shaped. Further back is the mode dial and to the left of it the on/off button (still lozenge shaped) and a button for toggling between the LCD screen and the viewfinder. Where the HX200V had a more angular design, the HX300 is curvier rising gently up and over the hump with a grille for the built-in stereo mics. That’s about it for top panel controls though, other than the button to raise the pop-up flash, situated well forward on the curved top surface, to the left. Round the back the layout sees some minor modifications centred around the same articulated 3 inch screen. The most noticeable differences are the bigger, curvier eyecup which provides a little more protection from extraneous light, and the texture thumb pad. To the right of it, the thumbwheel for changing exposure settings sits on the protruding corner as before. To the left of that, on the top section of the rear panel is the direct movie recording button. The playback button has been moved further down, eliminating the potential for confusion that exists on the HX200V. The control layout to the right of the screen consists of the relocated playback button above the four-way controller and, below it, menu and help buttons. The four way controller itself remains as before with display overlays, flash modes, Photo Creativity and drive modes on the cardinal points. On the left side of the camera body (as you hold it) is a hinged door which provides access to the USB and micro HDMI ports. Unlike the HX200 there isn’t a separate charging port, instead the HX300 is charged via the supplied USB cable which means if you’re travelling you don’t have to take the mains charger with you but can instead simply plug the HX300 into a laptop PC or a car adapter. In the combined battery and card compartment accessed via a door in the base of the grip, the HX300 takes the same NP-BX1 battery as the HX50. This is a smaller and lighter battery than the NP-FH50 fitted in the HX200, with a rated output of 1240mAh providing enough power for 310 shots under CIPA standard conditions. That’s only a handful short of the PowerShot SX50 HS’s 315 shots, but it’s a big drop from the comparatively generous 450 shots the HX200 can manage from its NP-FH50 battery. The other drawback resulting from the battery swap is that the NP-BX1 isn’t an Info Lithium model, so unlike the NP-FH50 it won’t provide an accurate percentage remaining, only a basic four segment indicator. The HX300 is compatible with SD, SDHC and SDXC including UHS-1 cards as well as Sony Memory Stick cards using an adaptor. It has 48MB of internal memory, enough for a handful of full resolution photos should you forget to insert a card. The HX300’s built-in flash is located on the top of the camera, to activate it you must press the button to the left of it which pops it up. This is pretty much the same system in use on the Canon SX50 HS, though that has no button and you have to pull the flash up manually. Only once it’s in the raised position can you use the four-way controller to set the flash mode, to one of Auto, On, Slow and Rear Slow Synchro (2nd curtain). Sony quotes the range of the flash as 8.5 Metres with the ISO set to Auto, which doesn’t give much of a clue to its power or enable a comparison with the SX50 HS for which Canon quotes 13.5 metres, again, with the ISO set to Auto. Whether or not the SX50 HS has the more powerful built-in flash, it also has a hotshoe, which the HX300 lacks, so an external flash isn’t an option for the Sony model. Like the lack of a GPS option and Wifi, this doesn’t make a lot of sense in light of the inclusion of all of those features – a built-in hotshoe, GPS and Wifi – on the HX50V pocket super-zoom. The HX300 retains the 3 inch 921,600 dot articulated screen and 0.2 inch 201,600 dot LCD electronic viewfinder of its predecessor. As before the EVF can be adjusted to suit your vision (a bit too easily though as I had to continually reset it), but one thing that’s noticeable by its absence is the optical sensor on the right of the eyecup that automatically switches the view from the screen to the viewfinder. On the HX300 you have to manually switch the view using the button on the top panel and that’s a backward step, whichever way you look at it. The screen provides a contrasty detailed view and does a good job in most conditions, but in bright sunshine it’s quite difficult to make out. This is of course true of most screens, but outdoors using both cameras at the same time I found the smaller, lower resolution 2.8 inch 461k dot screen on the PowerShot SX50 HS was actually easier to see. The HX300’s screen is articulated and can be flipped up to a 90 degree position or down to around 45 degrees, handy for shooting from high or low angles and to keep the sun off, but not quite as versatile as the Canon SX50 HS’s side-hinged screen which can be positioned forward-facing for self-shooting and folded in on itself for protection. The electronic viewfinder provides a bright view, though this is the third generation HX series super-zoom to employ the 201k dot panel and it was already a little behind the curve in the HX200 compared with higher resolution panels in competitor models from Fujifilm and Panasonic. It’s a similar specification to the Canon SX50 HS’s EVF and provides a similar, slightly pixellated, slightly laggy view. That said, Canon, like Sony, seems in no hurry to improve the viewfinder in its flagship super-zoom, also using the same EVF in three generations, back to the 2008 SX10. This is clearly an area in which both Sony and Canon have some catching up to do. The HX300’s 50x zoom lens has an equivalent range of 24-1200mm, taking you all the way from a super-wide angle to super telephoto in a little under three seconds. That’s an incredible range to have at the tip of your index finger, more than you’d find in the camera bags of most DSLR owners and more than you’ll find packed into almost any other super-zoom. The HX200’s 30x 27-810 zoom, impressive as it was, lacked the super-wide-angle coverage of much of the competition and couldn’t compete with Canon’s 40x SX40 with its 24-840mm range. 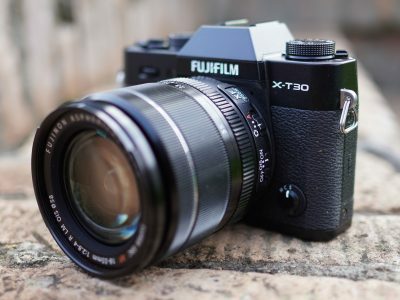 But there are few current models that can match the 50x range of the HX300, among them of course is the Canon SX50 HS, and there’s also Fujifilm’s Finepix SL1000. As I’ve already mentioned, the HX300’s zoom is operated via a compact-style zoom collar around the shutter release, which takes less than three seconds to cover the distance from 24mm to 1200mm at the fastest of its two speeds. It also provides pretty good nudge control, but it isn’t the only way to control the zoom. As on its predecessor, the HX300 has a switch on the left side of the lens barrel which is used to switch the function of the big wide lens ring from manual focus to zoom. This will inevitably come down to personal preference, but I found the collar was great for making big fast zoom adjustments and the lens ring better suited to small fine-tuning type adjustments. Either way, it’s good to have two ways of adjusting the zoom and a plus over the SX50 HS which lacks a lens ring of any kind. Huge zooms aren’t without their drawbacks, though, and one of the disadvantages can be a smaller maximum aperture compared with more modest zooms. But at f2.8 at the wide angle setting, the HX300 is comfortably brighter than the f3.5 of the SX50 HS, though the gap narrows to f6.3 on the HX300 vs f6.5 on the SX50 HS when both are fully zoomed in. In my tests I found the HX300’s half stop advantage was eroded when zoomed in to 600mm, with a maximum aperture of f5.6 available to both models at that focal length. Nevertheless, for general purpose shooting its a useful advantage to have. 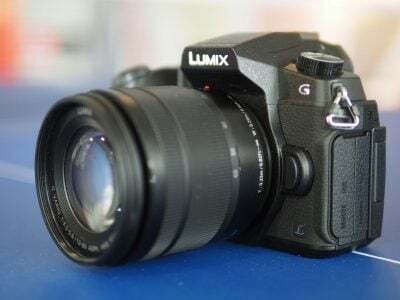 If you prefer a larger aperture super-zoom, you should look at Panasonic’s Lumix FZ200 which boasts a constant f2.8 aperture throughout its 25-600mm equivalent range. Yes, it may only zoom in half as close as the Canon and Sony, but when all are at 600mm, the Panasonic is two stops faster, so you need to weigh up whether aperturte or reach is more important to you. With such a powerful telephoto at your disposal, stabilisation becomes even more crucial and Sony has improved the SteadyShot optical image stabilisation on the HX300 adding a second group of lens shift elements to counteract camera movement. You can’t turn the HX300’s stabilisation off, so in place of my usual before and after shots, the 100 percent crop shown below right is from the red area indicated on the full frame on the left. This was shot in manual mode with a shutter speed of 1/40th, around five stops slower than the photographer’s 1/focal length rule of thumb would suggest is safe at the HX300’s 1200mm maximum zoom. Full frame, 4.3 – 215mm at 215mm, 80 ISO, 1/40th. 100% crop, 4.3 – 215mm at 215mm, 80 ISO, 1/40th. The HX300 inherits the shooting modes of the earlier HX200 with the same mode dial positions including the PASM modes, not one, but two intelligent auto modes, 3D, SCN, intelligent Sweep panorama, 3D, movie and a memory recall position. There really is something for everyone here. Novices have the option of two intelligent Auto modes. Intelligent Auto employs scene recognition to identify the subject and set an appropriate scene mode. The HX300 can tell if the camera is on a tripod allowing longer exposure times or if there’s motion in the frame in which case it will increase the ISO sensitivity and use a faster shutter speed to arrest the movement. In Superior Auto mode the HX300 takes a burst of up to six images and combines them into a single composite shot with improved dynamic range. The HX300 has the same 16 scene modes that were available on the HX200, including the composite options that shoot a burst of images and combine them to produce a better result than would be possible with a single exposure. Hand-held Twilight and Anti Motion Blur will be familiar to owners of recent Sony compacts with the Exmor-R CMOS sensor that makes these modes possible. Backlight Correction HDR shoots three frames to capture detail in the shadow, mid-tone and highlight areas of a scene with a wide tonal range and Background defocus uses two exposures to simulate shallow depth of field. 4.3 – 215mm at 90mm, 80 ISO, f5.6, Aperture priority. 4.3 – 215mm at 90mm, 80 ISO, f5.6, background defocus. Above I’ve included example shots to demonstrate the Background defocus scene mode compared with Aperture priority mode. For the first comparison I zoomed in to 90mm (500mm equivalent) and set the maximum available aperture – f5.6 – in Aperture priority mode. The comparison shot on the right was taken using the background defocus scene mode. At this focal length the HX300 actually does a pretty good job of throwing the background out of focus and the background defocus mode doesn’t really add a great deal. 4.3 – 215mm at 4.3mm, 80 ISO, f2.8, Aperture priority. 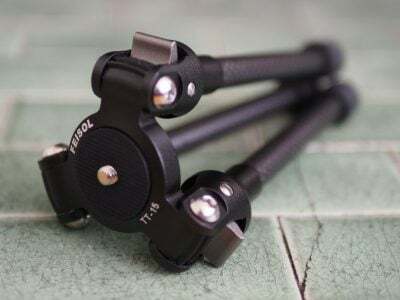 4.3 – 215mm at 4.3mm, 80 ISO, f2.8, background defocus. For the second comparison I shot at the maximum wide angle; at 24mm (equivalent) even at f2.8 the background isn’t that fuzzy and the background defocus shot is an improvement. So at wider focal lengths and when you can’t get quite so close to your subject it’s a useful option to have. For those who don’t feel ready to venture into PASM territory unguided, pressing the down button on the four-way controller while in Intelligent Auto (or superior Auto) mode accesses the Photo Creativity modes. These provide a simple slider interface for adjusting brightness (exposure) colour (white balance) and vividness (saturation) as well as another route to the Picture Effect filters. Only some of the Picture Effects are available in the Auto modes, though, if you want the full set you need to set the mode dial to one of the PASM positions and hit the menu button. Then you can choose from HDR Painting, Rich BW, Miniature, Toy Camera, Pop, Partial colour, Soft high-key, Watercolour and Illustration. Some examples of the various Picture effects are shown above, from the top left HDR Painting, Rich BW, Miniature, Toy camera, Partial colour (green), and Illustration. I’m not really sure why Sony doesn’t make the full set available in the Auto modes, maybe they think too much choice will confuse novice shooters. And making you select Picture Effects from an already lengthy menu (at least it’s at the top) is a bit wasteful when the Photo Creativity button is begging to be used for this feature. As it is, if you press the down position on the four-way controller in PASM modes you just get a warning that Photo Creativity modes are not available. As they go, some of the effects are pretty cool, but not being able to see them live on screen is a drawback and you need to be careful not to ruin a days shooting by forgetting to turn the feature off when you’ve finished with it. There is a small screen icon to tell you which one is active, but it’s easily overlooked. Backlight Correction HDR shoots three frames to capture detail in the shadow, mid-tone and highlight areas of a scene with a wide tonal range. Below I’ve shown an example of Backlight Correction HDR compared with Aperture Priority mode. This is the scene I use for my high ISO noise tests. The shot on the left is taken in Aperture priority with the one on the right in Backlight Correction HDR scene mode. One of the limitations of HDR backlight mode is that you can’t select the ISO sensitivity of the aperture, I’ve selected the closest ISO sensitivity shot from my high ISO testing sequence at 200 ISO to make the comparison. As you can see from even a casul glance at the full frame images, HDR Backlight correction does a good job of rescuing shadow detail which you can see a great deal more of in the pews and organ on the right of the frame. This is confirmed by the histograms. The highlight recovery is less dramatic, but as you can see from the crops, a fair bit of detail that’s blown out in the single frame has been retained by HDR Backlight Correction. Finally, we can’t talk about a Sony Cyber-shot’s shooting modes without mentioning panoramas. The HX300 features the latest iSweep panorama feature, which provides several panorama modes including High resolution panoramas measuring 10,480 x 4096 pixels and full 360 degree panoramas measuring a maximum 11,520 x 1080. Sony was the first to include panorama features on its compact and it remains the best. Its panorma modes are versatile, allowing you to shoot in portrait or landscape orientation in either direction and the results are excellent. It’s not infallible though and if there’s a wall or other large subject close by, you’ll only get a partial sweep. In the example below I got about 330 degrees. The HX300 retains the same movie modes as its predecessor with a choice of AVCHD or MP4 encoding that’s fairly consistent across the upper end of the Cyber-Shot range. In AVCHD mode you get four options, the best quality being 1080p50/60 (region dependent) at 28Mbps. This is followed by 1080i50/60 at with two quality choices of 24 and 17Mbps. Finally, there’s a 1440 x 1080i50/60 option at 9Mbps. Switch to MP4 encoding and the options become 1440×1080, 720×1080 and 640×480 all at 25fps (or 30fps in NTSC regions). You can start recording on the HX300V by pressing the movie button in the rear panel, assuming you’re shooting 4:3 stills and HD video, this switches the screen to 16:9 with black bars top and bottom. So if you want to accurately frame up your shot beforehand it’s better to first turn the mode dial to the movie position. This also provides access to more movie options from the menu button. When you press the movie button with the mode dial in any position other than movie, exposure is set using the HX300’s intelligent Auto mode with Scene detection. With the dial in the Movie position you don’t get manual exposure control, or anything close, but the movie menu does provide an alternative, which is to select from one of seven scene modes including Soft Snap, Landscape, Night Scene, High Sensitivity, Beach, Snow and Fireworks. The movie menu also provides options for movie quality, Face detection, movie smile shutter, the stronger Active SteadyShot stabilisation and still image size. You can shoot stills during HD movie recording at any quality other than the best 1080p50/60 28Mbps mode. There are two size options – 15M and 3M, both 16:9 proportioned.To take a still shot during recording you simply press the shutter release. Still shots are recorded without interrupting the video and the camera doesn’t refocus when you press the shutter, so it’s all pretty smooth and seamless. Sadly, manual focus isn’t available during movie recording, continuous AF is automatically engaged regardless of the the position of the Manual focus selector switch on the lens barrel. The HX300’s continuous AF works very well though, smoothly and silently adjusting focus to keep the subject sharp. You can also engage tracking focus on the HX300 by pressing the centre button on the four-way controller once to activate tracking focus and a second time to select the target. Some Picture Effects can be applied during movie shooting, but not all of them work and there’s no indication given when you select them. If you select Miniature mode, for example, rather than the limited focus sped-up action you might expect (and would get on the Canon SX50 HS) you just get a normal HD clip with no effect applied. It would be nice to at least be aware that some effects won’t work with movie shooting, and it’s a shame that those include the ones you’re most likely to want. This clip, like the others below was shot using the HX300’s 1080p50 HD video mode. I wasn’t feeling too confident that I’d be able to keep the HX300 steady at 1200mm, but in the event the stabilisation, set to the more powerful Active SteadyShot mode, gave a truly impressive result with a steadier frame than some cameras with shorter ranges are capable of. For this tripod mounted pan I’d normally turn the stabilisation off, but you can’t do that on the HX300. Good detail, exposure and colour in this clip and, as on the previous clip, the focus is rock steady throughout the zoom and the zoom motor is more or less silent. For this and the previous clip I used the zoom rocker, which operates at a single slower speed for movie recording. The lens ring is better suited to small zoom movements – you can’t go the whole range in one rotation. Regular readers will spot that this is a different location for my indoor movie testing, the usual place was closed for staff training! This is another good result from the HX300V with not too much noise and vibrant colours. Once again, the AF does a good job with no flitting about despite the multitude of different surfaces at varying distances from the lens. My coffee cup example tests the HX300’s continuous AF performance. With the lens zoomed in a little and panning from the cup to the more distant bookshelves the focus (mostly) reacts swiftly and surely. Not all the HX300’s picture Effects can be used on video, most disapointingly the Miniature mode is ineffective. Here’s Rich BW. The HX300 is a well designed camera that handles nicely either in the Auto modes or when setting exposure manually. Though there’s little to do if you’re shooting in one of the two auto modes, particularly if you put the camera in Easy mode which presents a limited menu. 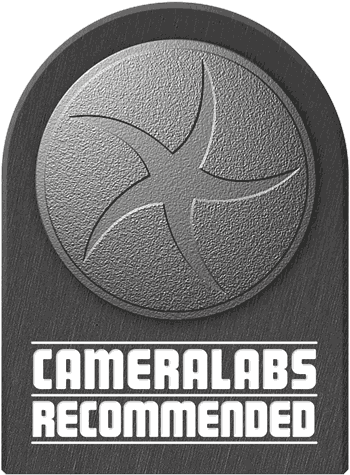 The in-camera guide is concise, but informative, which is just as well as Sony doesn’t provides only the briefest of printed guides, there’s no full manual either in print or PDF format. In the PASM shooting modes exposure control is relatively straightforward, but because of the reliance on the thumbwheel to set a range of controls it sometimes feels like there’s an awful lot of button pressing required. Pushing in on the thumbwheel in Aperture priority mode, for example, toggles between aperture, exposure compensation and ISO sensitivity control. If you could set the custom button to select, say, ISO sensitivity, or if exposure compensation were available on the four-way controller (in the redundant Photo Creativity position for example) that would make things a lot simpler. As it is, the custom button is restricted to AE lock, White balance, metering mode or Smile shutter. The lack of customisation options and the absence of the equivalent of Canon’s Func. Menu on the SX50 HS, means that, should you need to venture into the HX300’s menu system, you can be in for a long trip. But including things like iSweep panorama, 3D, and scene modes on the mode dial means you don’t have to resort to the menu all that often. The dedicated Focus mode button also saves on trips to the menu, but like the custom button and the four-way controller, you can’t help but think Sony could have made better use of them. All too often they’re redundant in modes that don’t support their specific function, rather than being made use of in some other way. In the end I grew a bit tired of seeing the ‘This operation or setting not available’ message. Pressing the HX300’s Focus button provides three options, the default Multi-AF, Centre AF, and Flexible spot AF. There’s also an AF tracking mode which is initiated in the modes that support it by pressing the centre button of the four-way controller once to activate it and a second time to lock the AF target onto the subject. The HX300 also has Face detection which can be configured to give priority to child or adult faces. In good lighting conditions the HX300’s AF is very swift, the double-beep indicating that focus has been achieved occurs almost the instant you half-press the shutter release. It’s just a fraction slower than the PowerShot SX50 HS, but the difference is unlikely to make much practical difference. In less than optimal lighting conditions, though, the HX300’s response becomes much slower. In these situations switching to centre or flexible spot AF usually provides the answer and in situations where the light levels are too low for any of the AF options to function well there’s always manual to fall back on. To switch to manual focus you slide the switch on the lens barrel to the MF position and use the lens ring to adjust focus. In manual mode pressing the focus button magnifies the screen – Sony for once making good use of a button that would otherwise be redundant. There’s also a distance scale at the bottom of the screen that shows you where you are in relative terms but isn’t marked in feet or metres. I found manual focussing with the HX300’s lens ring was a much more natural and easier process than using the command dial on the Canon SX50 HS. However, the SX50 does provide a marked distance scale as well as a safety MF feature that fine tunes your manual efforts using the AF system. It also provides focus bracketing so, while from a handling perspective its less well suited to manual focus than the HX300, it’s more versatile. Like its predecessor the HX300 offers two continuous shooting modes with a ten frame burst at either 2fps or 10fps. It’s a fair bet to assume most people will set the 10fps ‘Hi’ mode in the menu and leave it at that. To test the HX300’s Hi burst mode I set it to the best quality mode and fitted it with a freshly formatted Sandisk Extreme SD card rated Class 10 with a data transfer rate of 30MB/s. The HX300 fired a ten-frame burst in 0.9 seconds, a little faster than the quoted 10fps and the images took just over seven seconds to write to the card. Swapping to a faster UHS-1 card with a write speed of 45MB/s made no difference either to the shooting speed or the write time, so there’s little point spending extra on the faster cards. Traditionally a bit of a laggard in the continuous shooting stakes, Canon has upped its game recently, and the SX50 HS offers a faster 13fps High Speed Burst HQ mode. Like the HX300 though, with a ten frame limit the amount of action you can capture is limited to less than a second. If you want to shoot for longer than that, and mostly you will, the best both models can manage is 2fps. For faster, or at least more versatile continuous shooting options you’ll need to look to the Panasonic FZ200 which, in addition to 12-frame 12fps burst, 5.5fps and 2fps modes both with and without AF, also offers super-high speed 40 and 60fps low resolution modes. Of course the FZ200 zoom is ‘only’ 24x. The HX300 has a 20.4 megapixel sensor which produces images with a maximum size of 5184 x 3888. JPEGs are compressed at a single compression setting producing files ranging in size, depending on the image content, between 4 and 7MB. The ISO sensitivity range is 80 ISO to 12800 ISO with the 6400 and 12800 ISO settings produced using composite shooting and ‘Pixel Super Resolution technology’. The shutter speed range is 30 – 1/4000 (1 – 1/4000 in Program Auto mode). To see how the quality of the Sony HX300 measures-up in practice, take a look at my Sony HX300 quality and Sony HX300 noise results pages, browse my Sony HX300 images, or skip to the chase and head straight for my verdict.